Create a streaming pipeline between AWS Kinesis services and Sumo Logic, pulling valuable real-time data into the Sumo cloud-native platform. The Sumo Logic AWS Kinesis connector ingests raw data streams and transforms them into Sumo’s unmatched visual reports. Aggregate, analyze, and visualize your specified Kinesis log data using the Sumo Logic’s connector. Amazon Kinesis is a powerful piece of infrastructure offered by AWS in order to help users build applications capable of robustly processing large-scale real-time event data streams. It’s high-throughput enables app developers to access large quantities of logs and other data from a multitude of source. 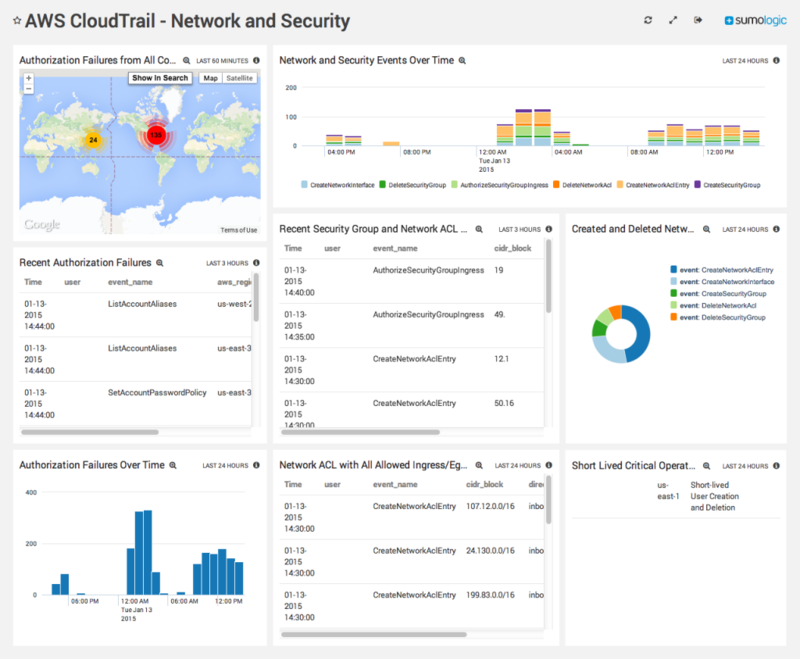 Sumo Logic’s app allows you to connect these AWS Kinesis data streams to the Sumo Logic platform’s powerful tools for log monitoring, analysis, and management. Sumo Logic’s AWS Kinesis Connector app establishes a secure tunnel for your AWS streams, filtering them into Sumo’s unique, robust visual reporting tools, allowing you an in-depth understanding of your AWS Kinesis data. Unleash the full potential of AWS Kinesis and add real-time monitoring to your management toolbox. 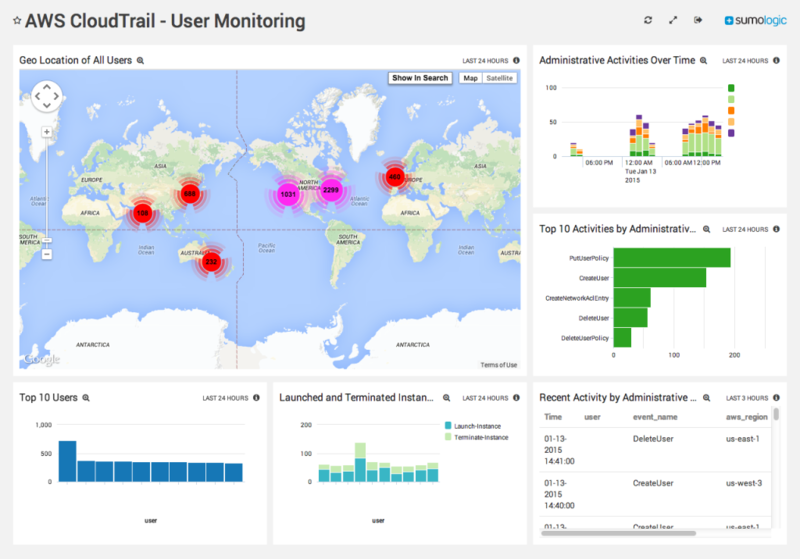 Real time, continuous query dashboards provide visibility into your AWS environment. See how Sumo Logic’s lightning fast search engine can quickly gather machine data from across your infrastructure.